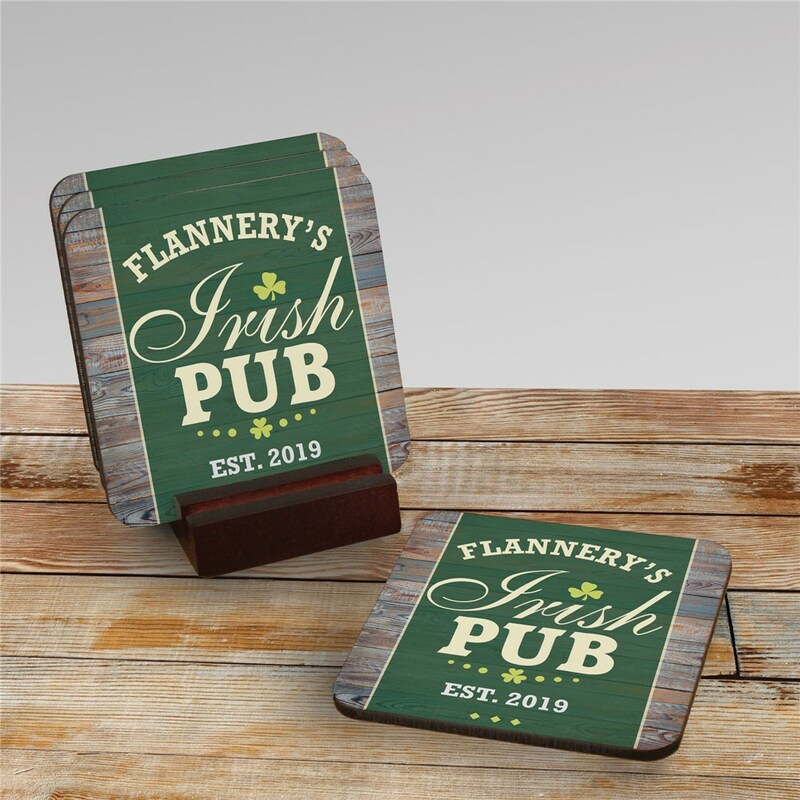 Display your Irish pride in a unique way with the addition of a Personalized Irish Pub Coaster Set to your home or bar area. We will custom create this coaster set of 4 with top personalization and bottom personalization line to make a bold Irish statement this St Patrick's Day. Give as a gift to all your Irish friends and family. They look very classy. It'll be a great Christmas gift! Additional Details Check out our personalized coasters for other occasions and interests, year round! Our personalized gifts are great for any occasion - shop today from the convenience of your home. It's easy with GiftsForYouNow.